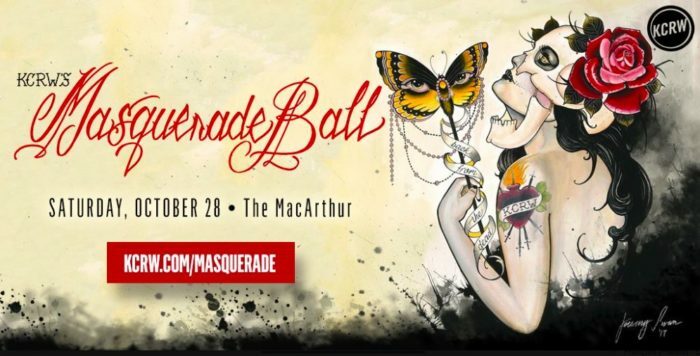 KCRW’S Masquerade Ball comes to The MacArthur (formerly known as the Park Plaza) on October 28 for L.A.’s iconic Halloween Dance Party that has risen from the dead. Lucent Dossier, Lucha Vavoom, and belly-dancing flappers Les Petites Bonbons are just a few of the high-profile acts performing at the ball. There’s been a three-year hiatus, but KCRW is now making up for lost time. The newly renovated venue features five ballrooms with KCRW DJs dropping beats, special musical guests, performance artists, dancers and more. Talent are on sale now and can be bought via the link below. This 21+ event begins at 9 p.m. and ends at 2 a.m.